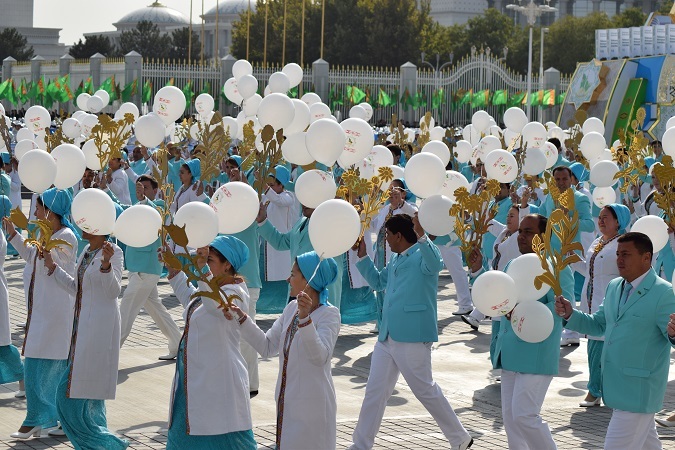 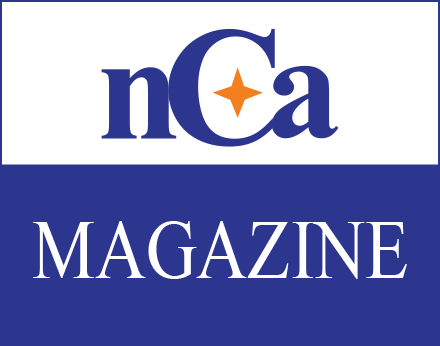 Ashgabat, 28 October 2016 (nCa) — Turkmenistan has turned 25 – this is the silver jubilee year of the cherished independence. 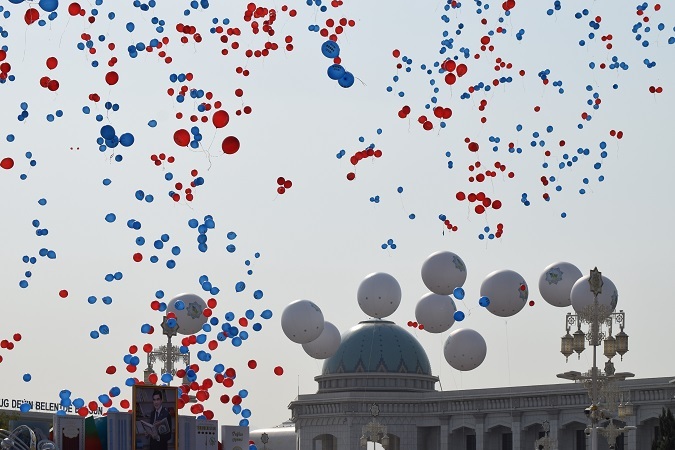 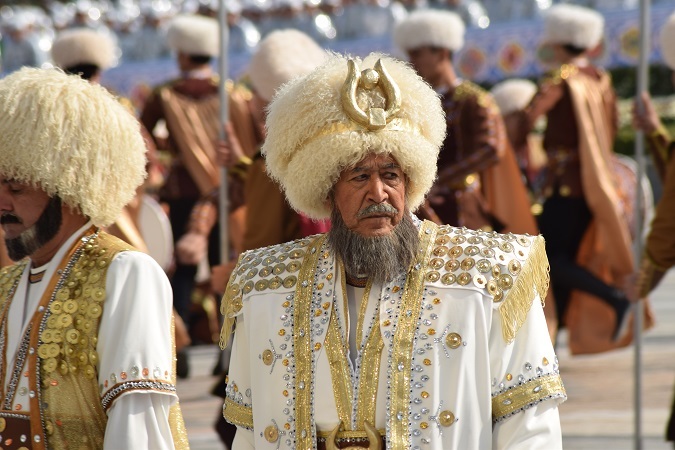 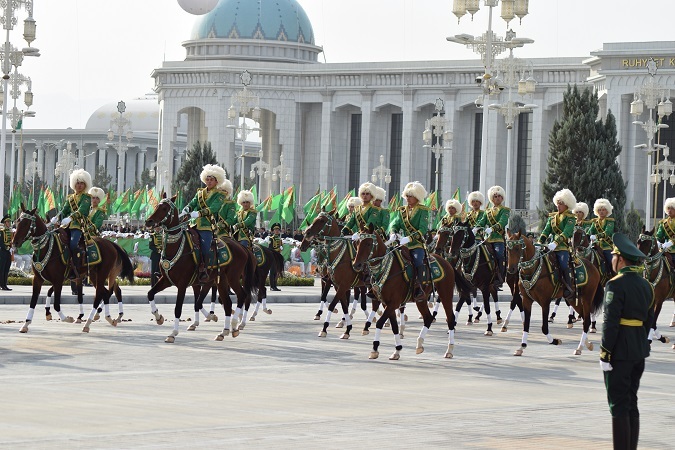 The crowning event to demonstrate the spirit of a resilient nation, the resolve to meet all the challenges with calm and determination, and the rightful pride in what has been achieved so far despite all odds was the independence anniversary parade, held in the Bash Maidan (Main Square) on 27 October 2016. 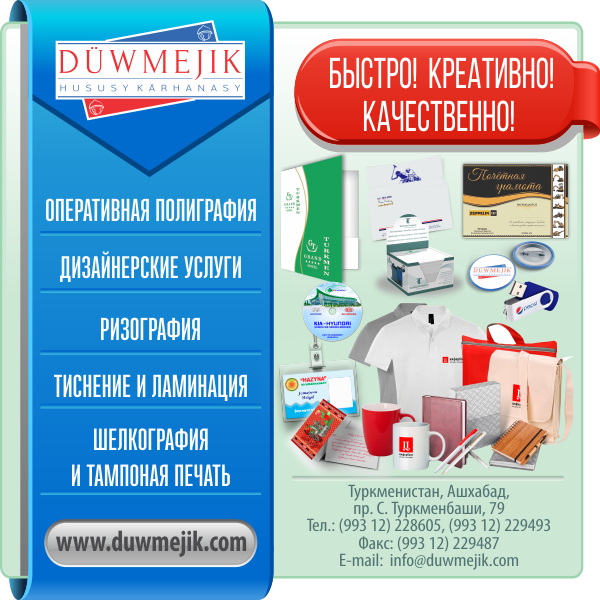 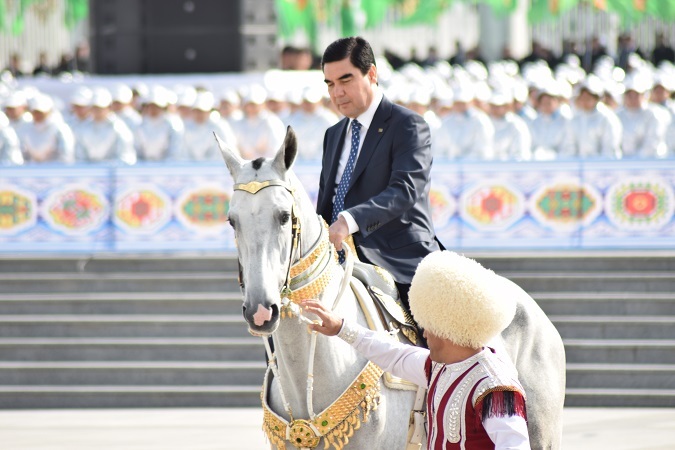 Turkmenistan is a young nation – the average age of the top leadership is 42. 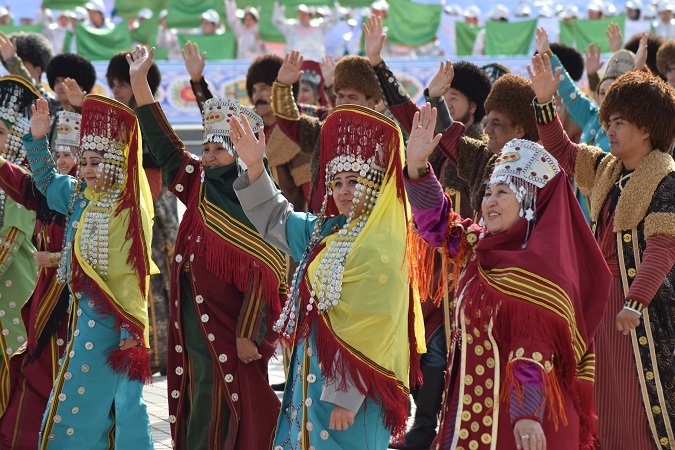 While giving full respect and honour to the elders and benefiting very directly from their wisdom and experience, the country has been systematically working to ease the younger generation into the positions of power and authority. 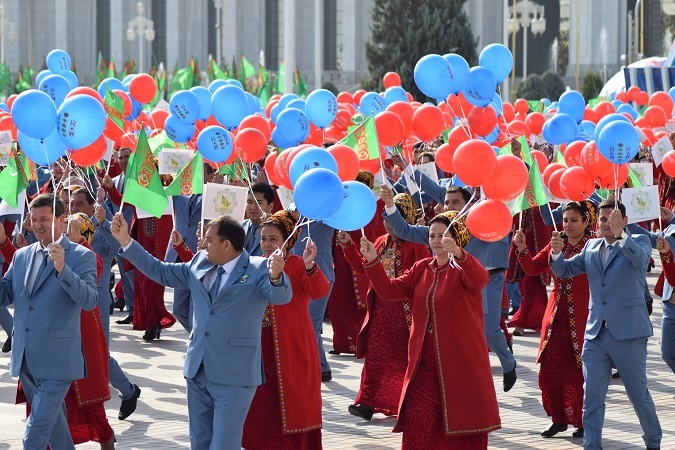 This was evident in the colourful, effervescent and dynamic parade where most of the participants were those born after the independence of the country. 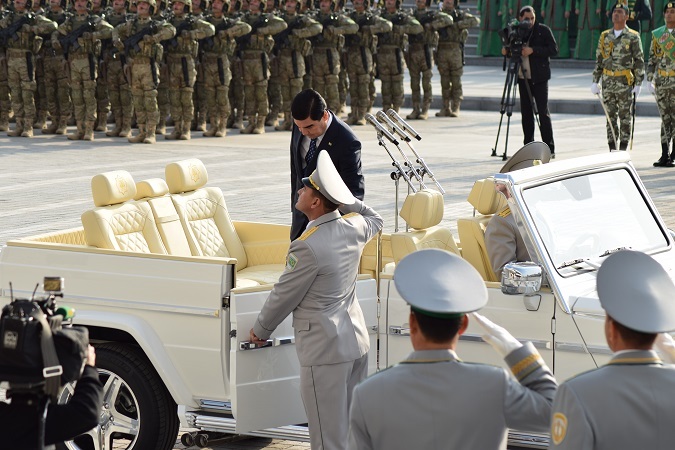 An important new feature in this year’s parade was that President Berdymuhamedov inspected the troops at the ground in their ceremonial colours, in contrast to the usual practice where the minister of defence used to drive past the troops and make report to the president. 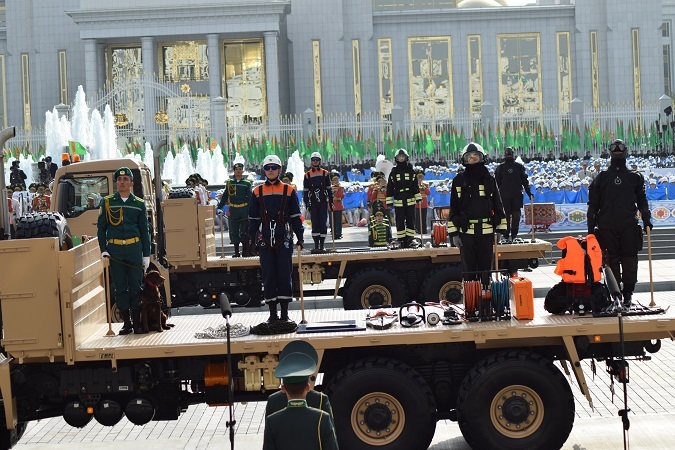 This act was, in addition to being inspiration and encouragement to the troops, was quite symbolic in nature: it depicts the armed forces are ready for close scrutiny by the commander in chief, and hence ready to meet any challenges in professional way. 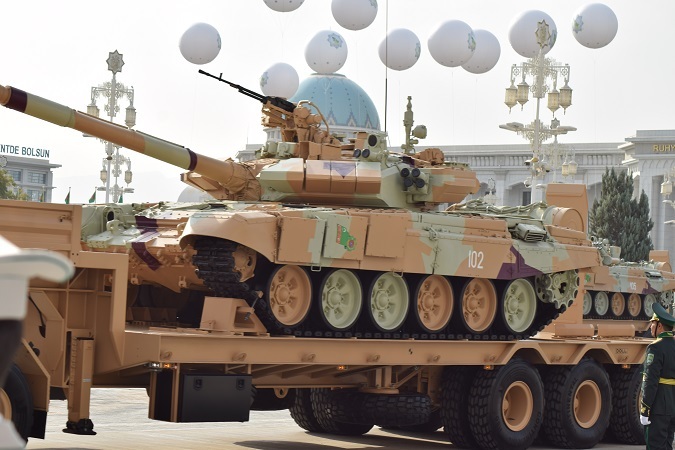 The choice of military hardware for display at the parade was also meant to send a message. 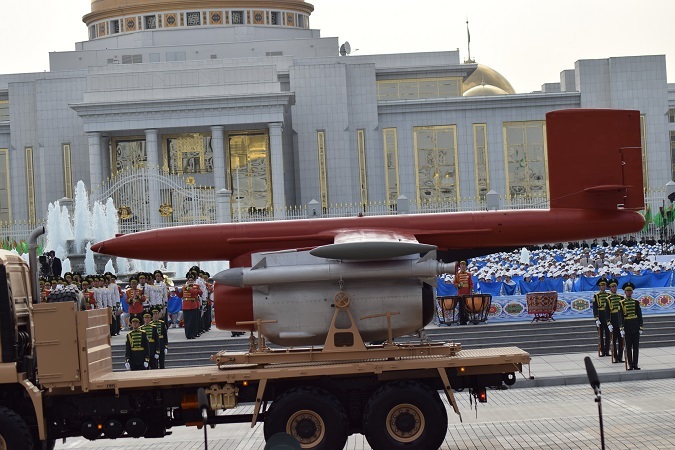 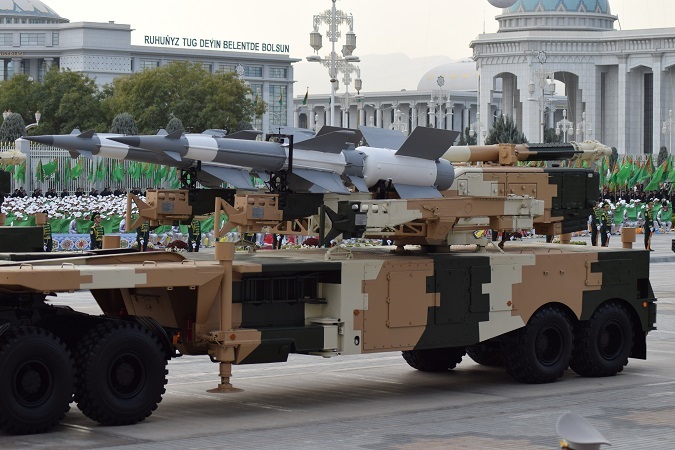 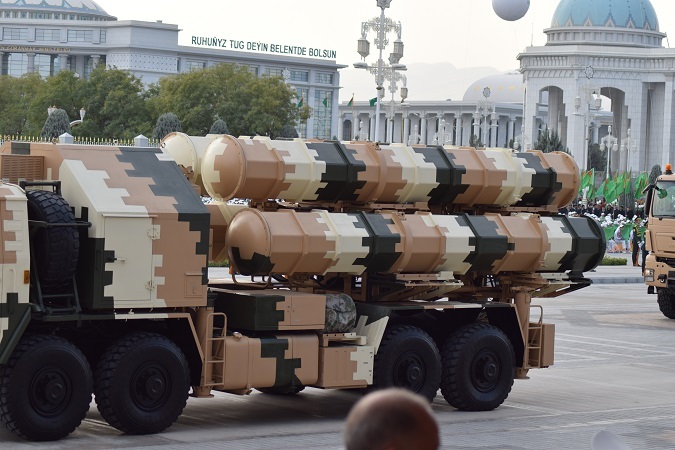 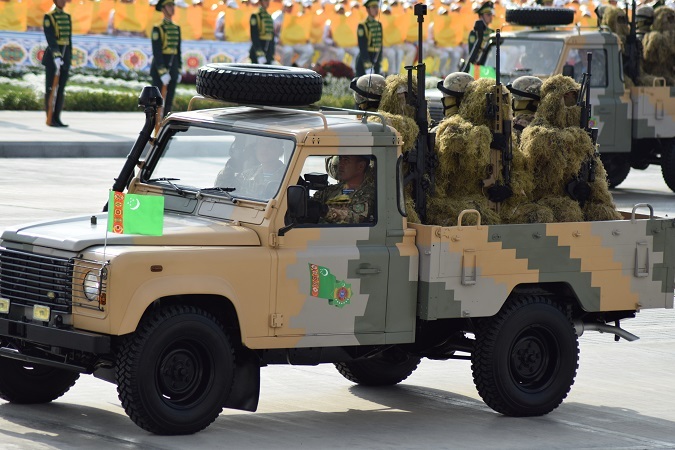 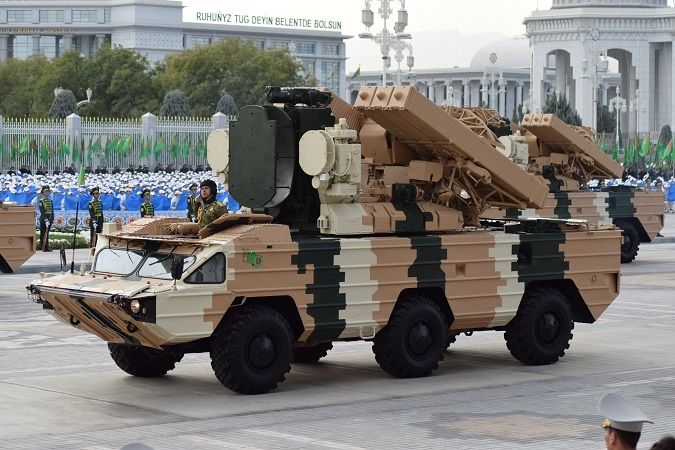 As is the usual practice around the world that the military hardware at the parade doesn’t represent the complete inventory of the arsenal; it is carefully chosen to send whatever message needs to be sent. 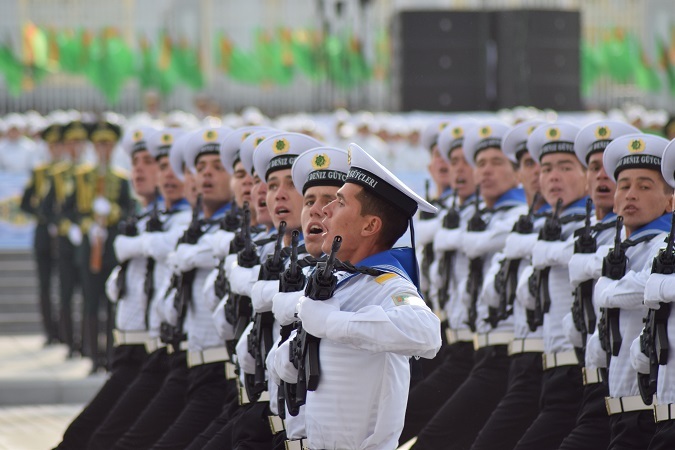 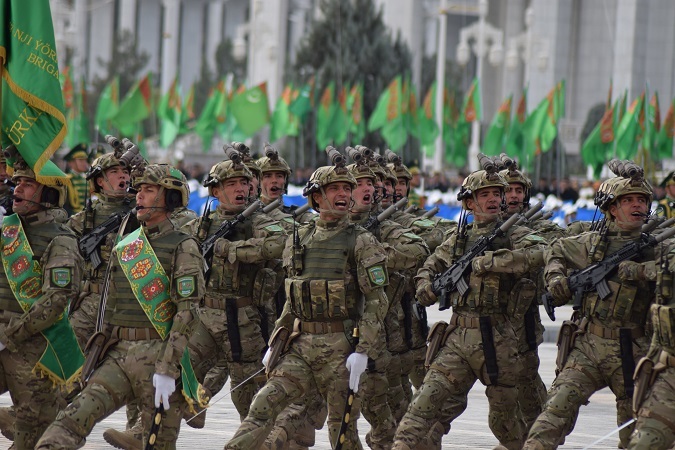 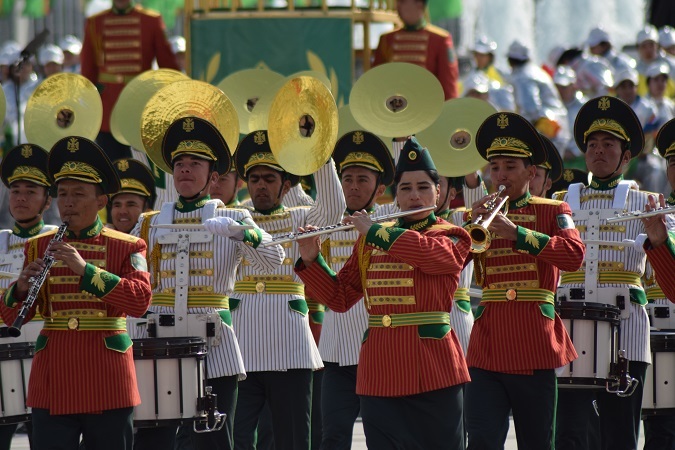 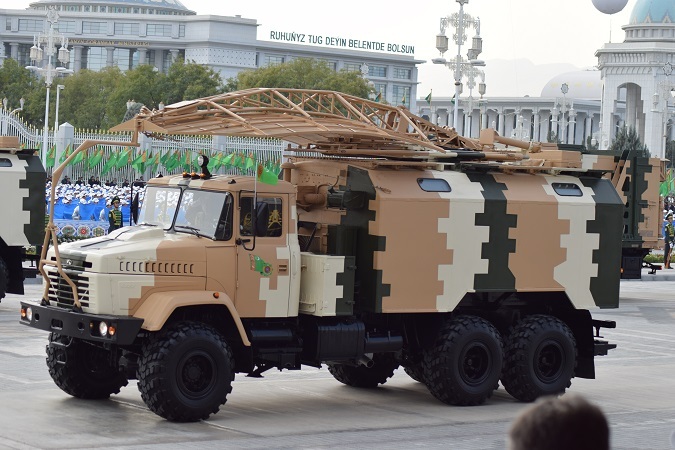 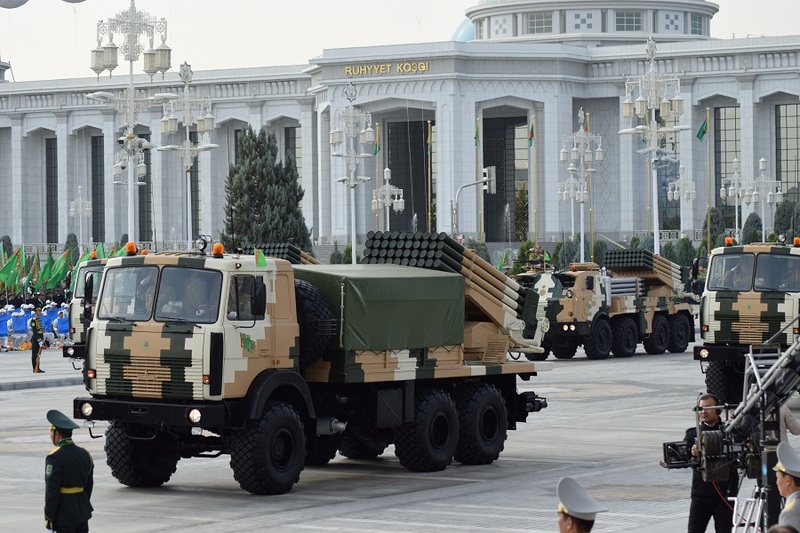 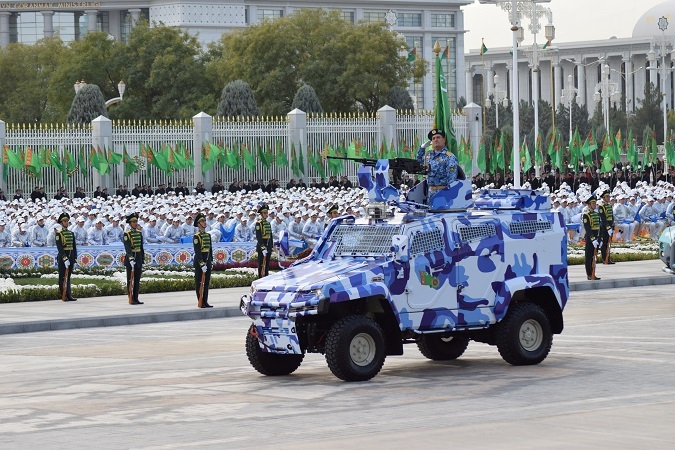 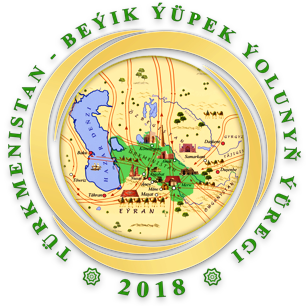 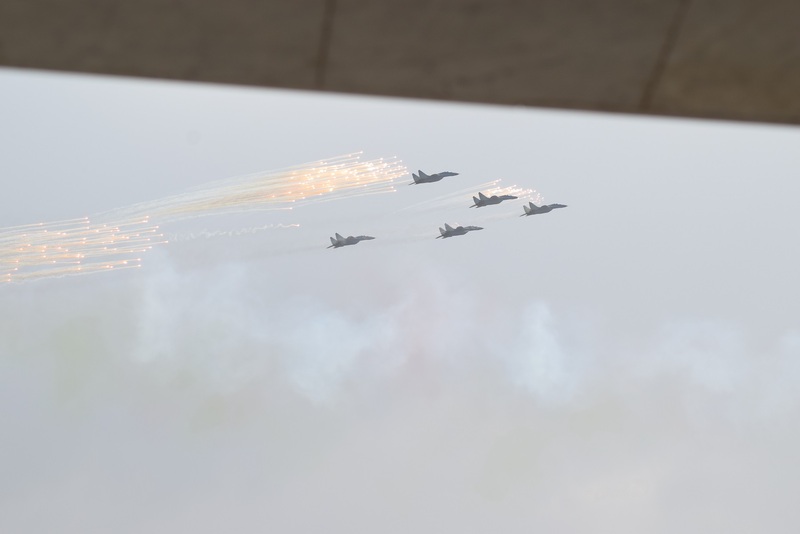 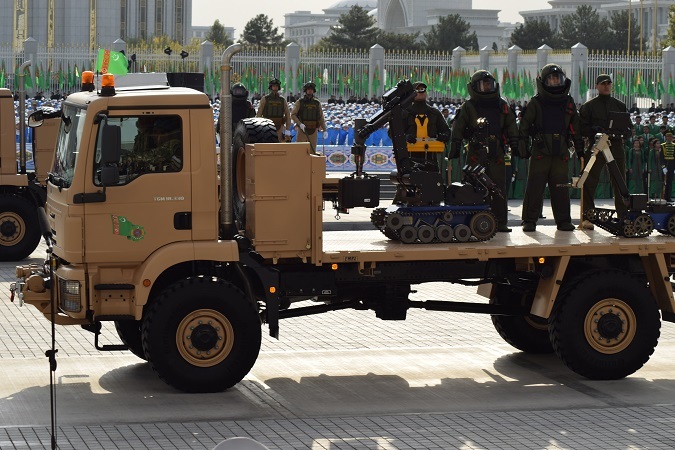 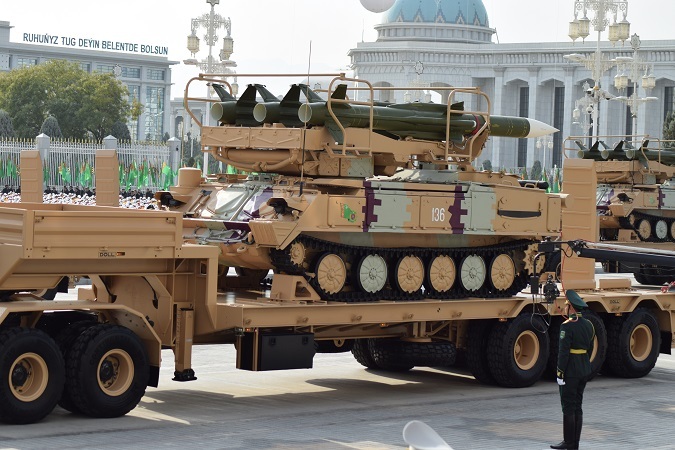 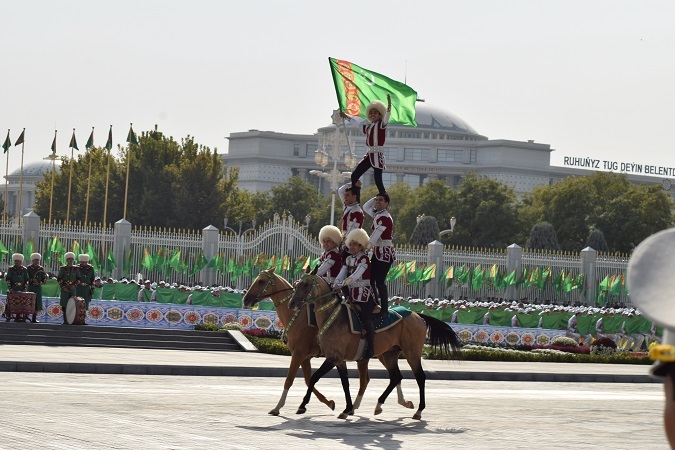 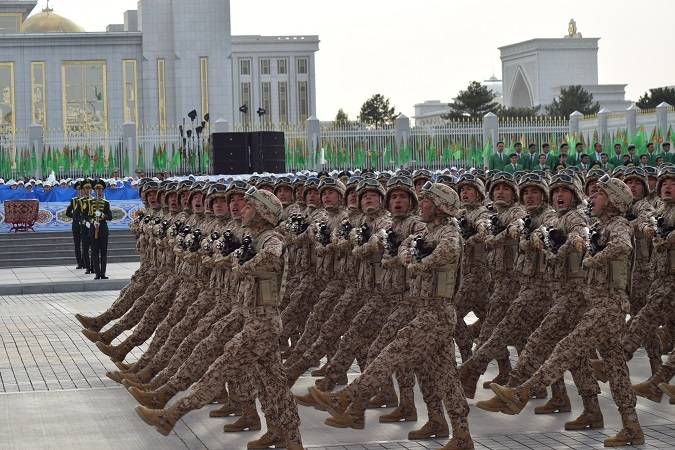 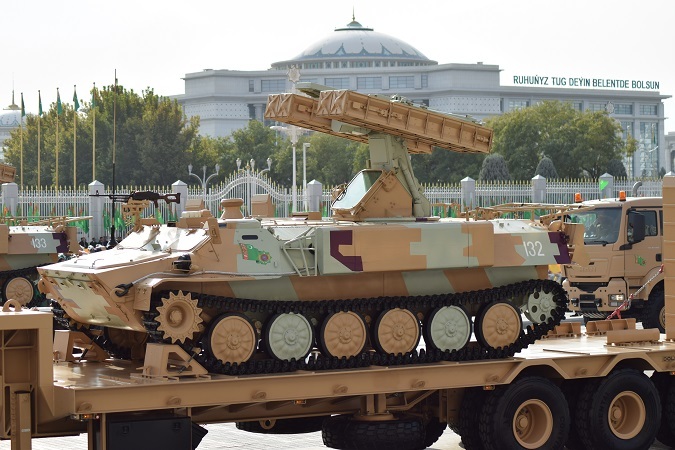 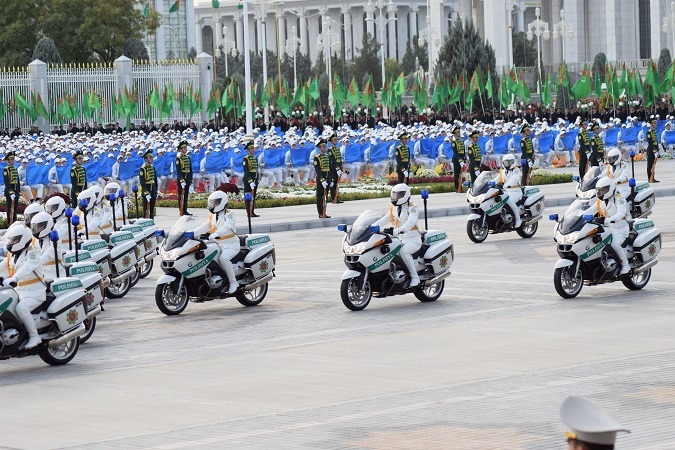 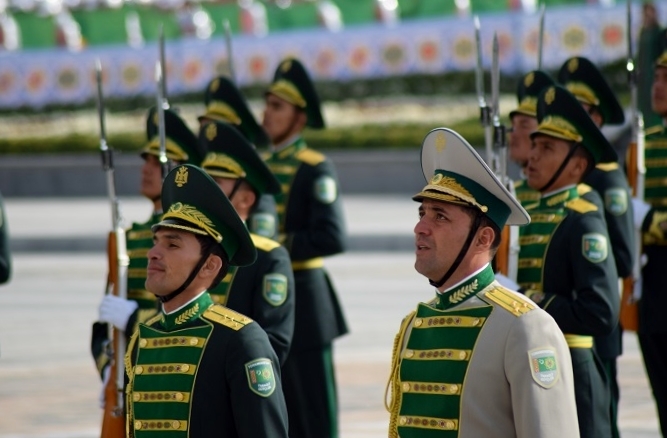 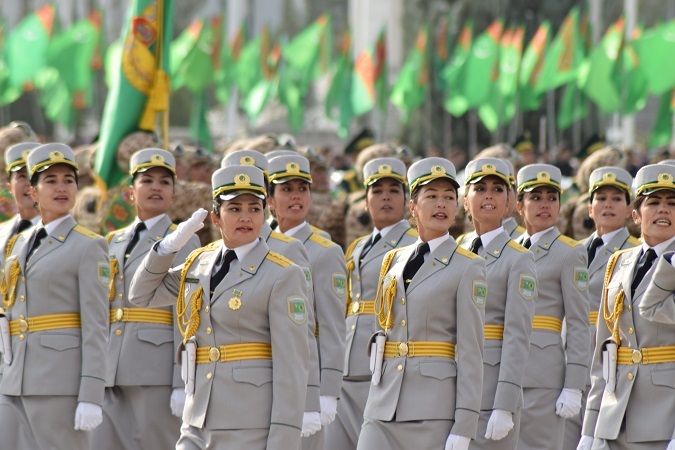 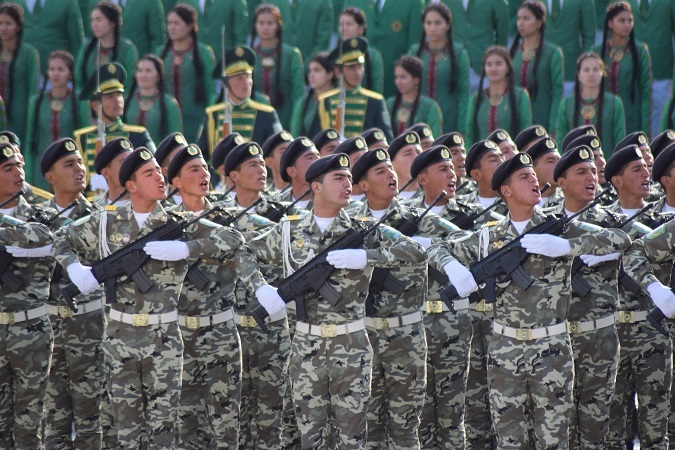 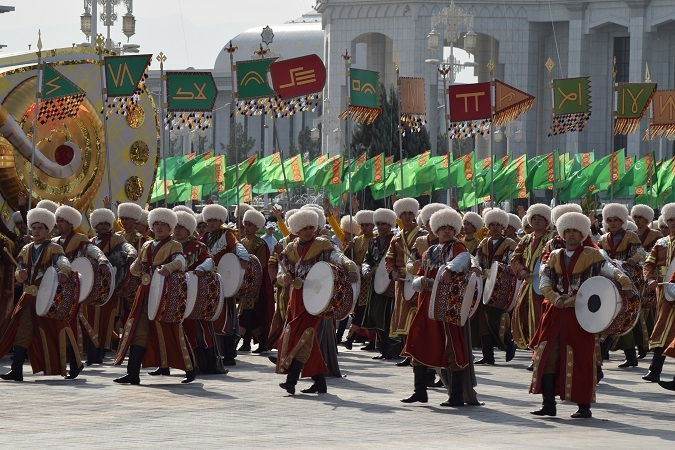 The message was loud and clear at the parade: Turkmenistan doesn’t want to flaunt its military muscle; it is a neutral country and wants friendly relations with all the neighbours and the rest of the world. 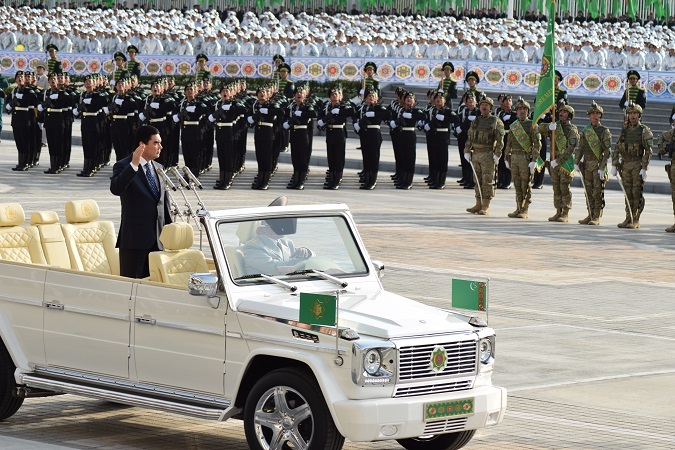 At the same time, it remains vigilant to defend its legitimate interests with diplomacy and restraint. 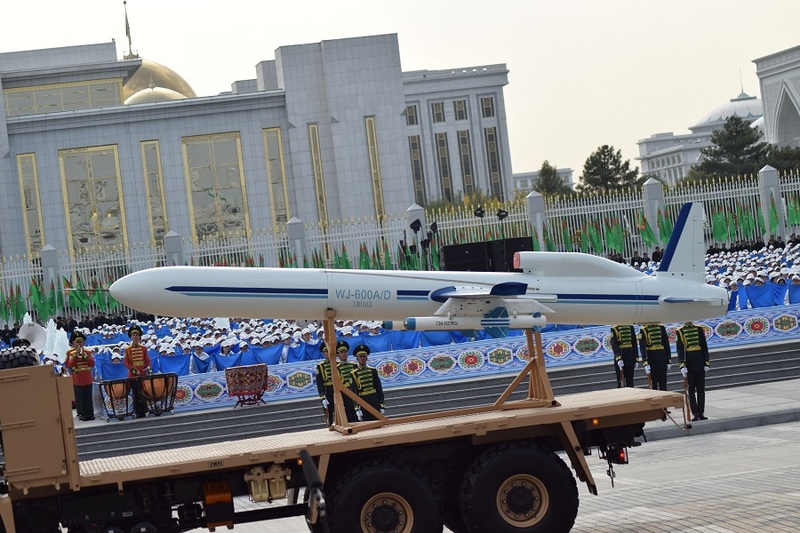 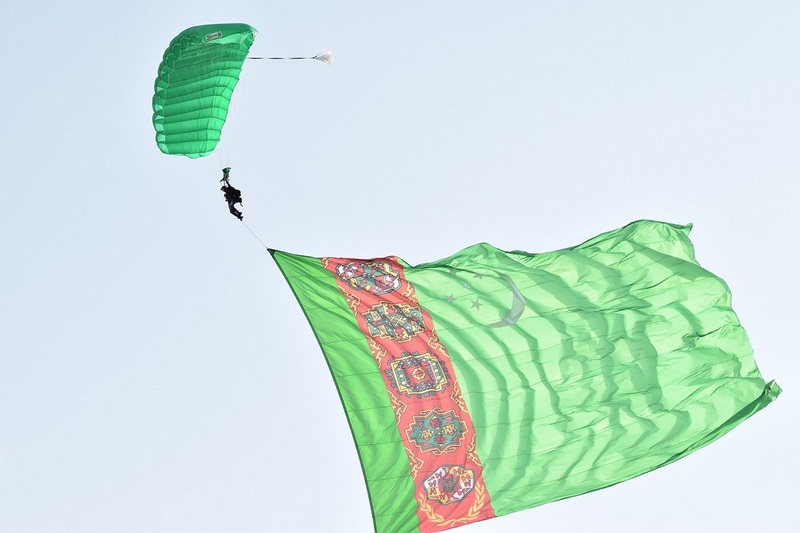 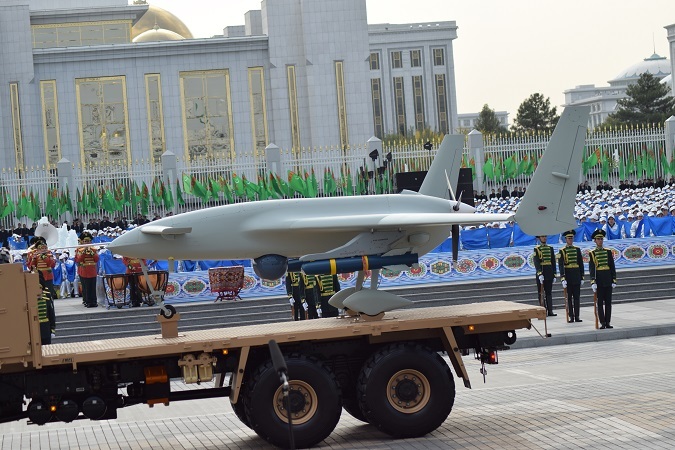 The para-gliders trailing huge flags of Turkmenistan landed right at the designated spot near the northern corner of the Square. 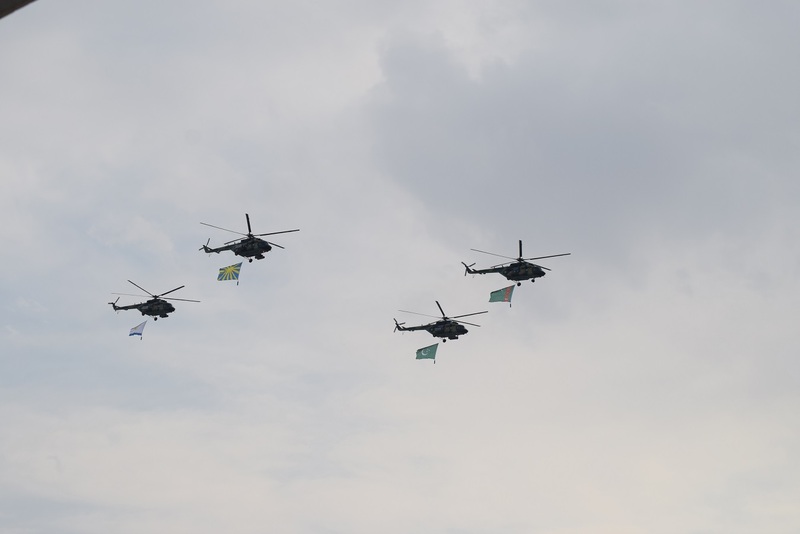 Helicopters and airplanes in diamond formations flew over the crowd. 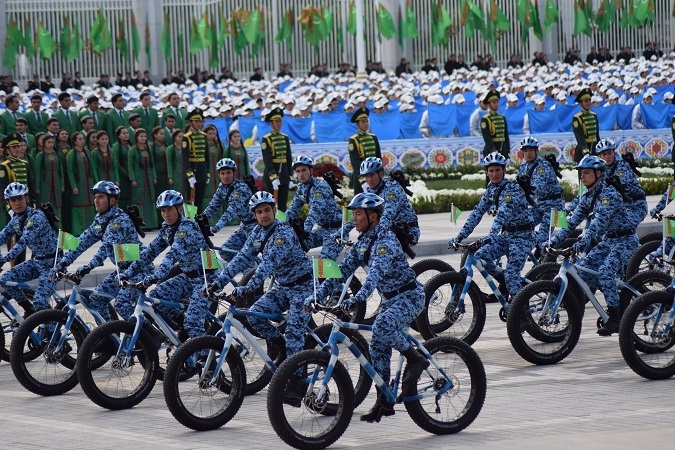 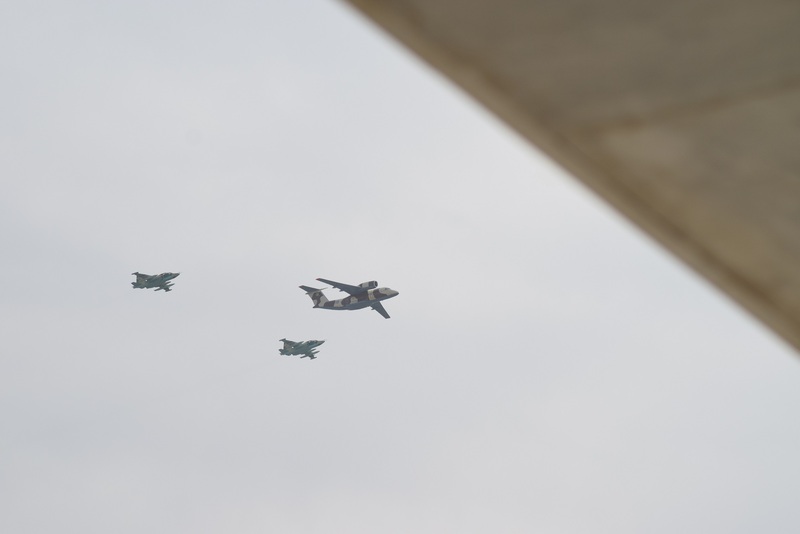 Since this was a combined civil and military parade, the sense of proportion was unmistakable because the mainstream of the country, any country, is always engaged in non-military pursuits. 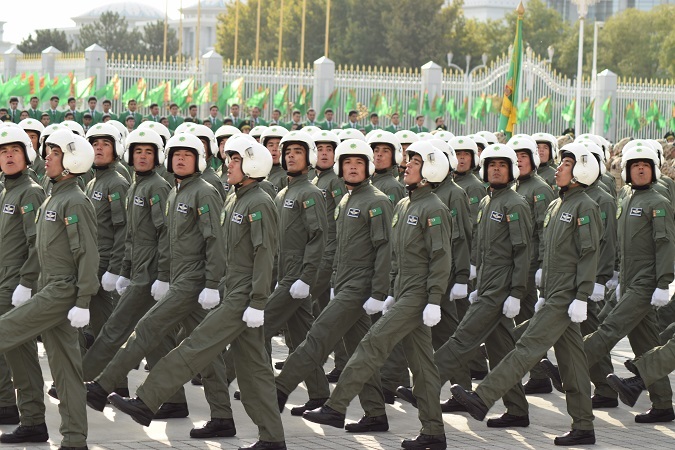 The military, vital as it is, forms just a fraction of the fascinating spectrum of the country. 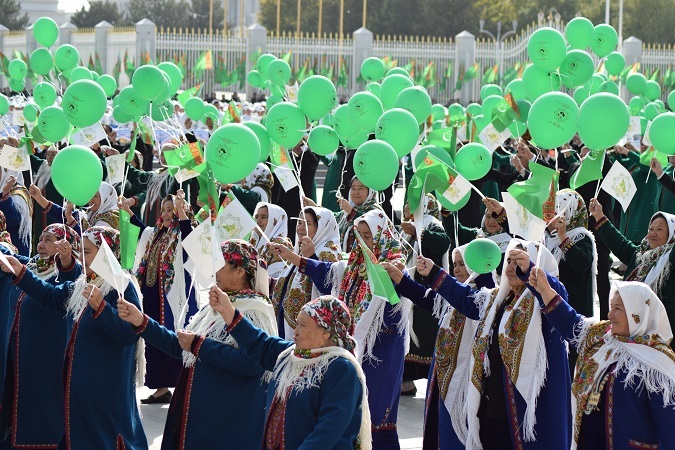 This is true for Turkmenistan, as it is for every other civilized and progressive country. 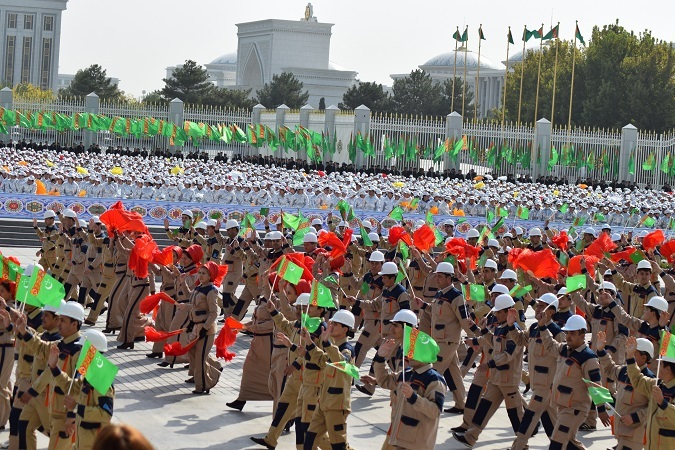 The civilian part of the parade should actually be considered as just the summary of the achievements and ambitions of the population. 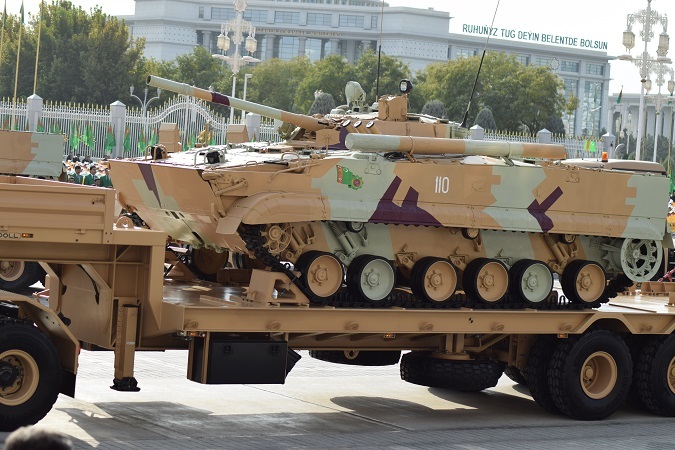 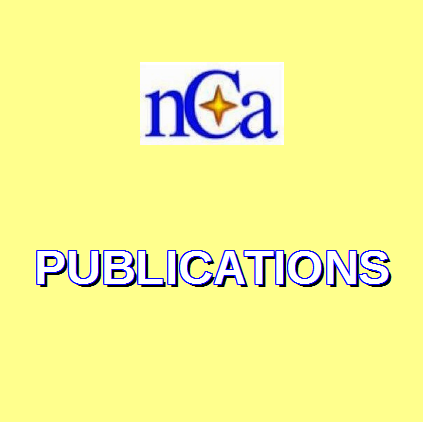 The main content has been displayed already in the dozens of exhibitions and forums held throughout the year. 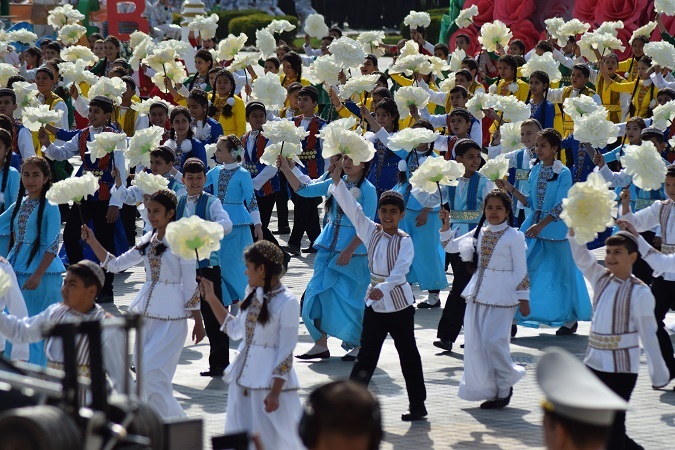 Before the start of the parade, the president, the top officials and the foreign guests placed flowers at the Independence Monument. 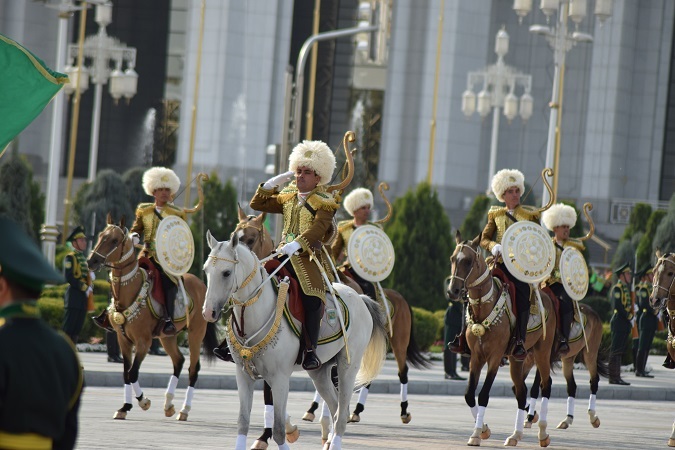 The president received several guests in separate meetings, who had arrived to join in the festivities. 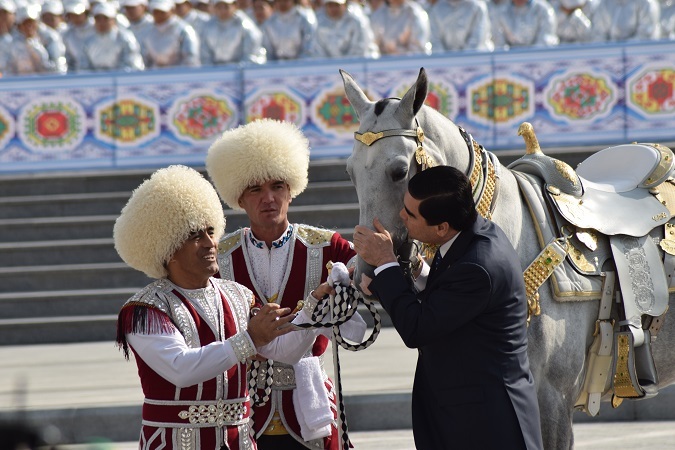 They included the special envoy of Turkey, governor of Astrakhan region of Russia, and heads of several foreign countries. 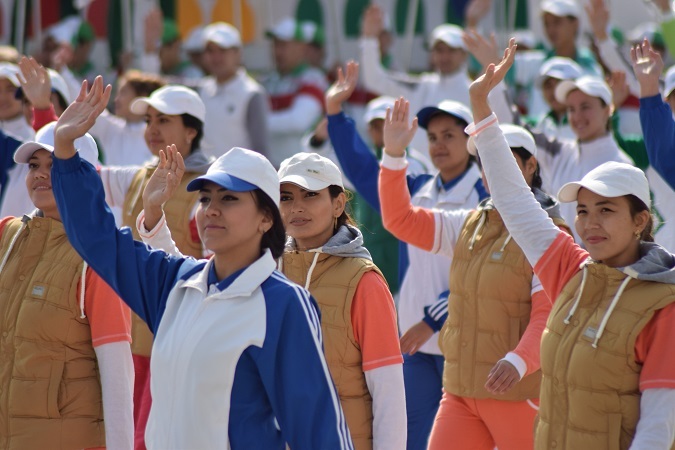 Delegations from a number of foreign countries including UAE and Pakistan were present at the ceremony. 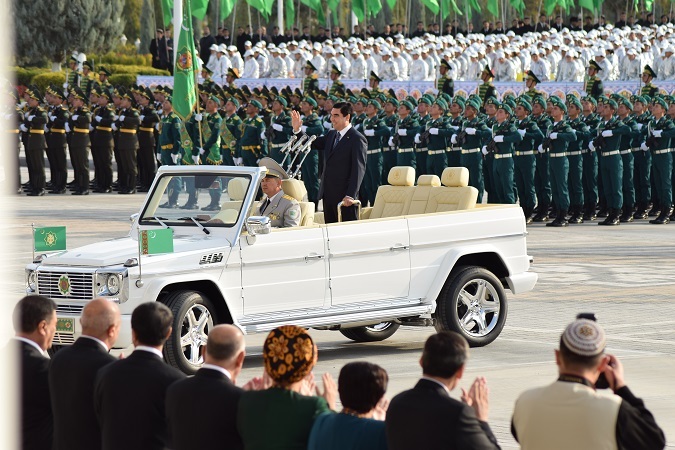 A concert was held on 26 October 2016 where the president sang a song which was also written and composed by him. 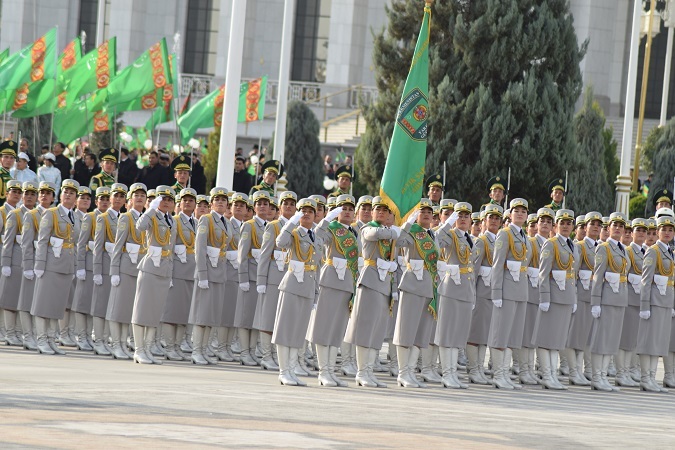 Several singers sang the songs written and composed by the president.